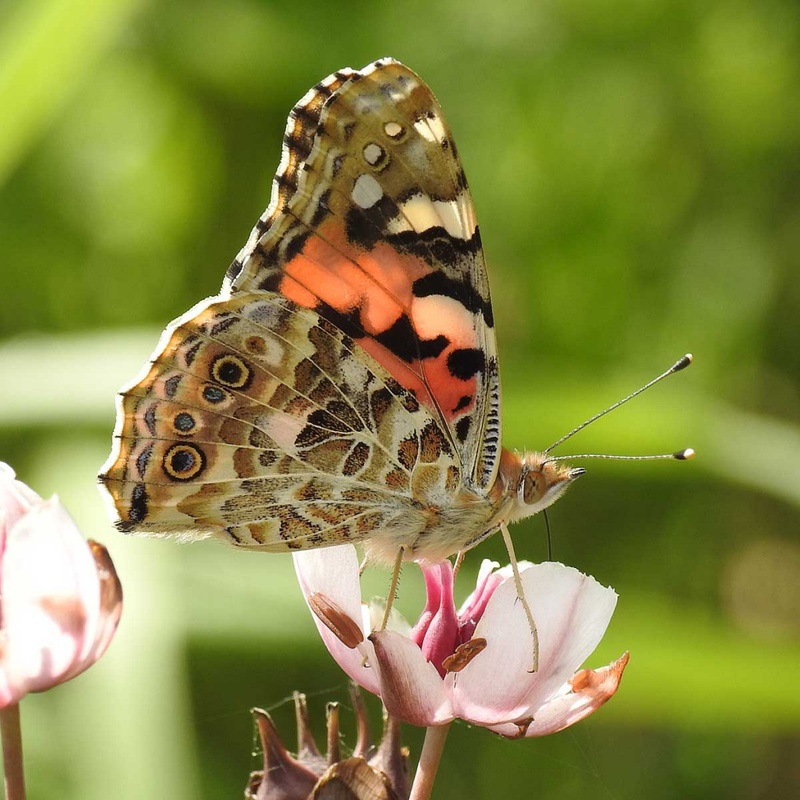 A newly emerged adult is flushed with a beautiful salmon-pink and is a most-beautiful insect. This colouring, however, fades rapidly with the passage of time. 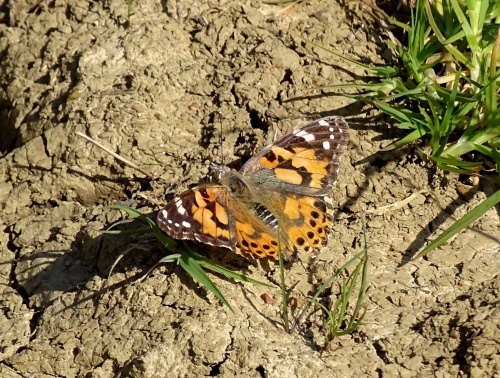 The species has slightly pointed wing tips and the white marks on the black tips of the forewings help to distinguish the species from the tortoiseshells. This butterfly can be found almost anywhere, from the seashore and town gardens, to the tops of the highest mountains. 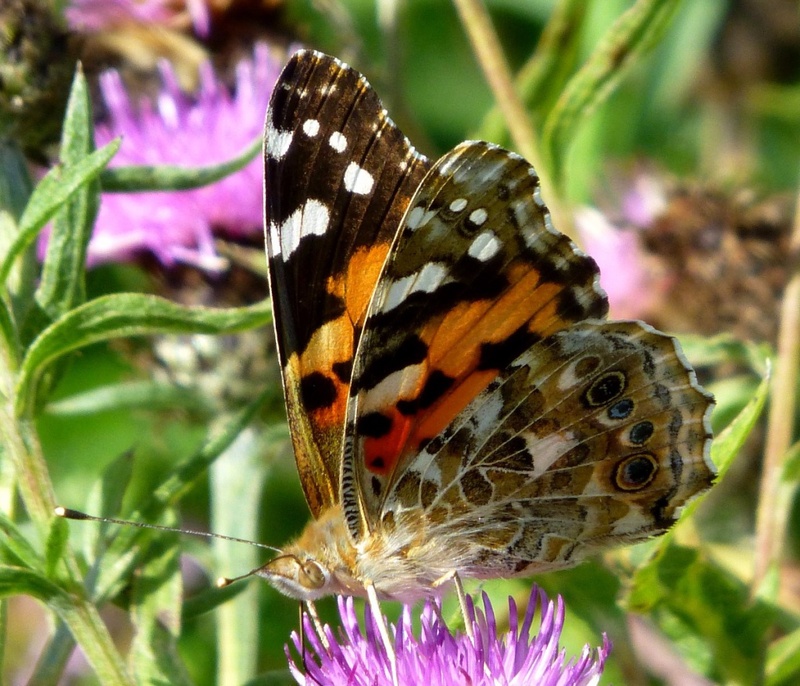 This is one of the few species that can breed in intensive farmland since even these sites typically contain a patch of thistles, the primary food plant of this species. 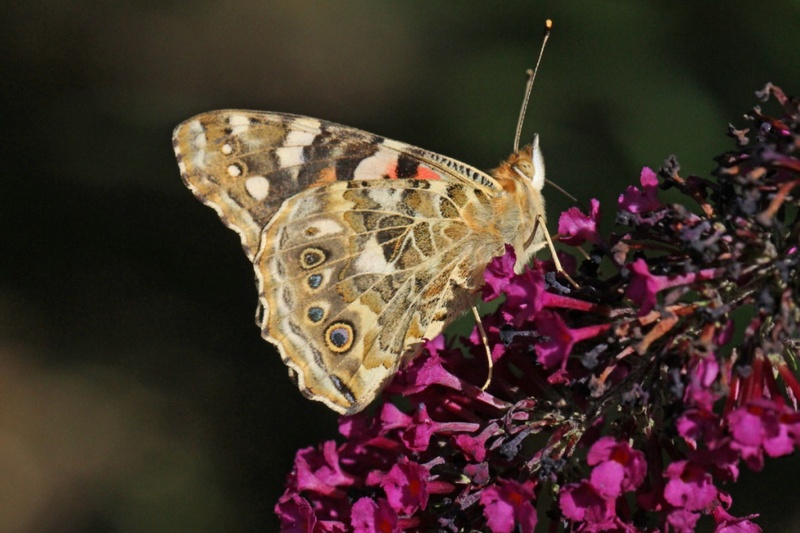 This species is a migrant to our shores and, in some years, the migration can be spectacular. 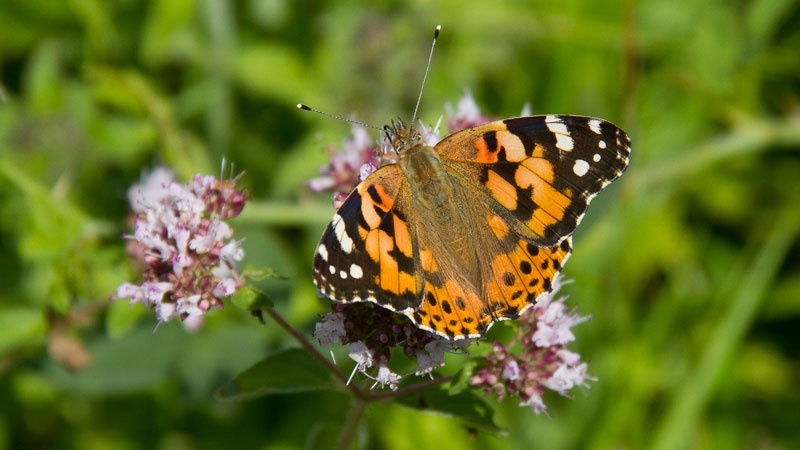 The most-recent spectacle (in 2009) is considered to be one of the greatest migrations ever, with sightings from all over the British Isles that are definitely on a par with previous cardui years. 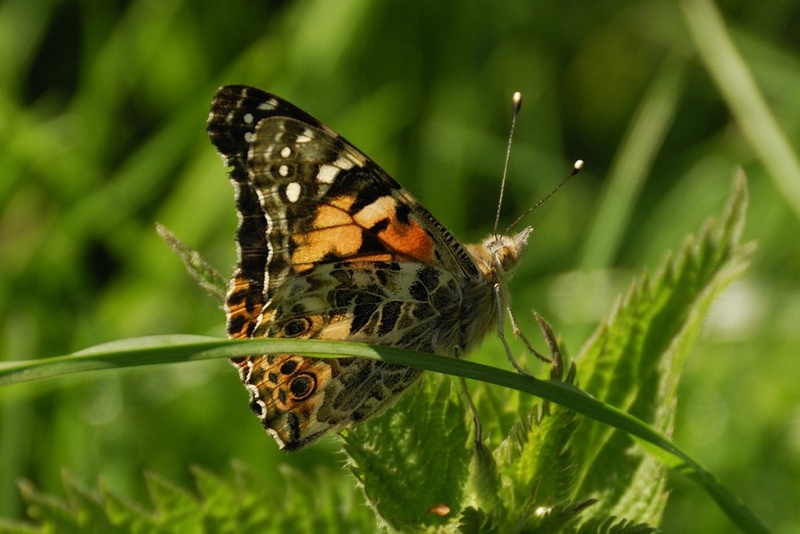 Adults are first seen in late March as they migrate from the Continent and numbers build up in May and June as further migrants arrive. These breed and give rise to the next generation that peaks between mid-August and early October. There may be more than one brood in the British Isles each year - depending largely on the weather. 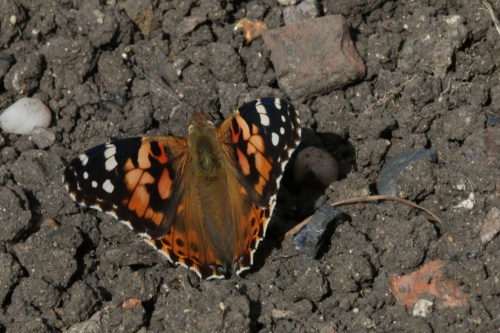 This butterfly is continuously brooded on the Continent but it seems unable to survive our winter in any stage. It is thought that some individuals may make an attempt at a return migration in the autumn. 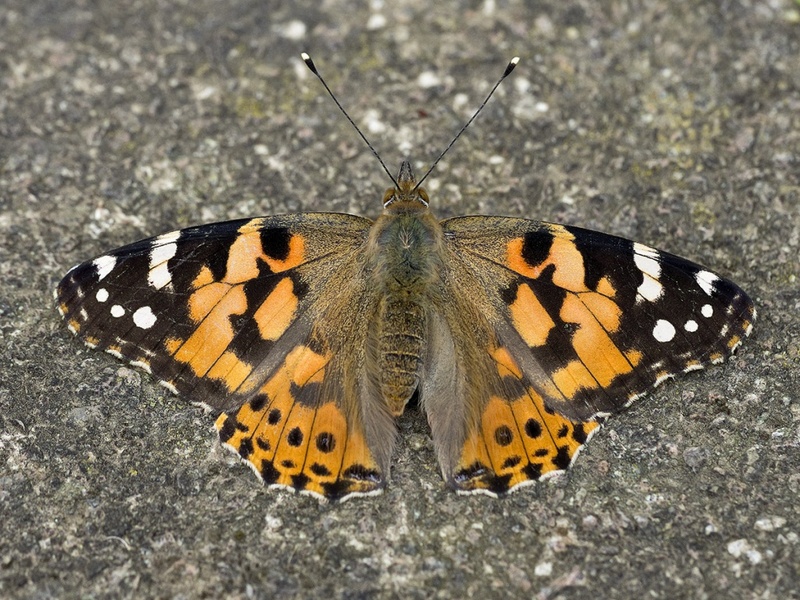 This butterfly has a strong flight and can be found anywhere in the British Isles. 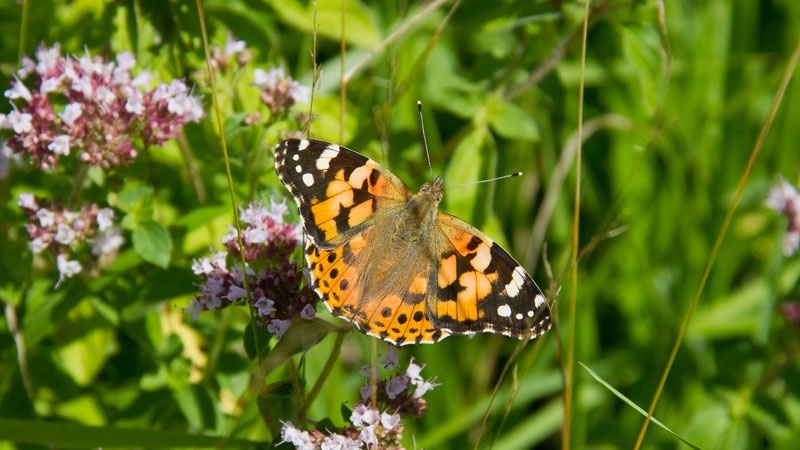 An interesting fact is that this butterfly is the only species recorded from Iceland. 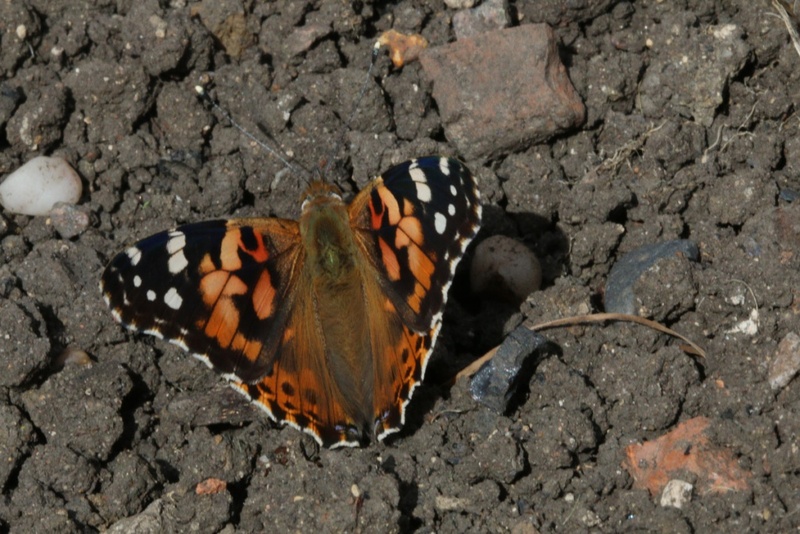 Migrant - common in some years in Leicestershire and Rutland, uncommon in others. 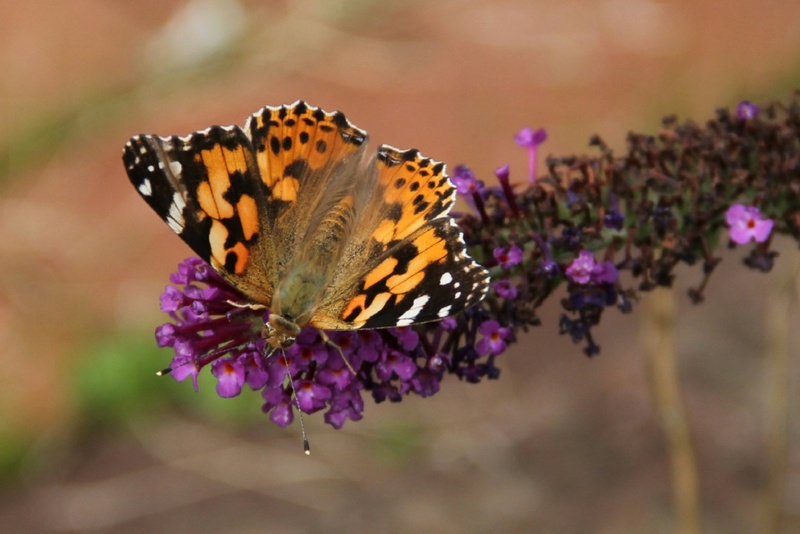 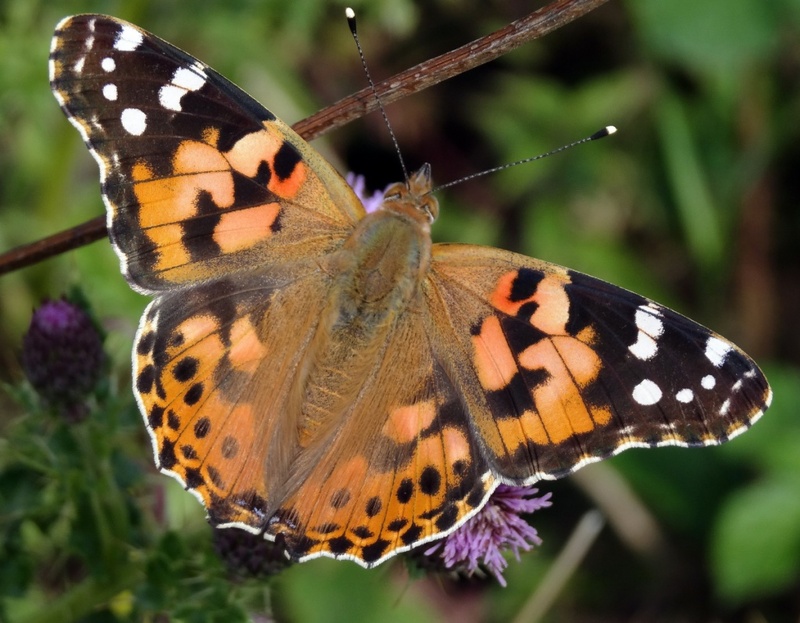 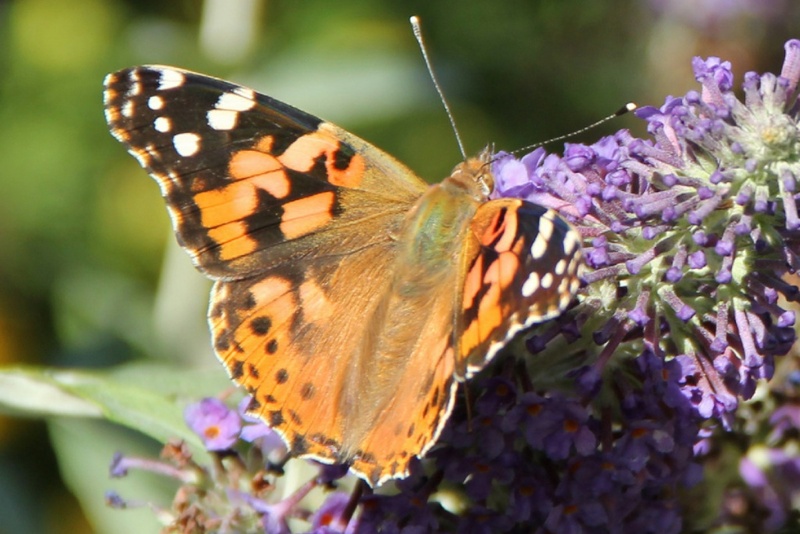 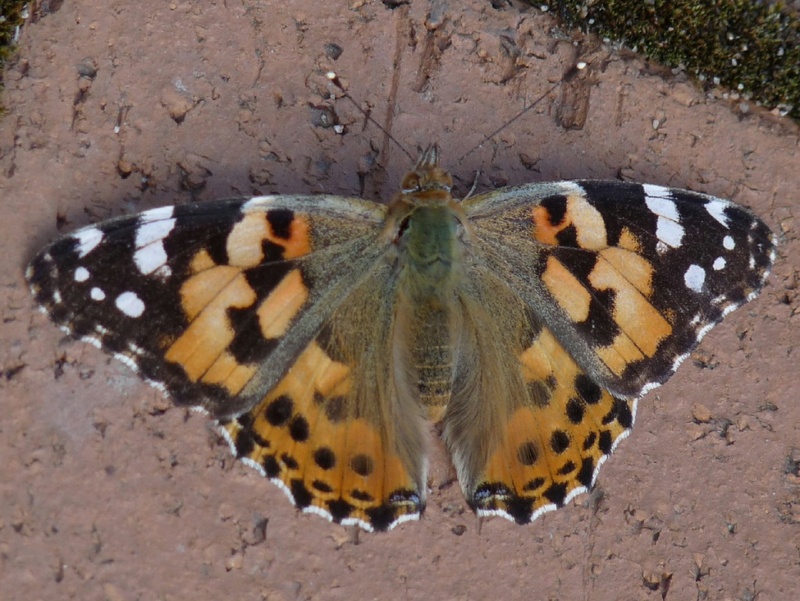 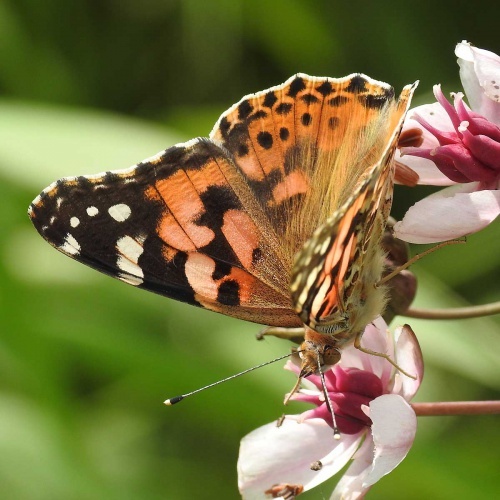 Mystery of Painted Lady migration solved!